Tempratur og retnings uavhengig (3 gyroer). Alle signalen fanges opp via Sigarett-lighter kontakten i bilen. som ogsÃ¥ fÃ¸ler motorens turtall. Turtallet vises hele tiden mens du kjÃ¸rer. eller flytte den til en annen Bil, Motorsykkel, eller BÃ¥t. Ingen installasjon. Kan kobles rett i Sig. pluggen. av resultatene, som vist pÃ¥ bildet over. 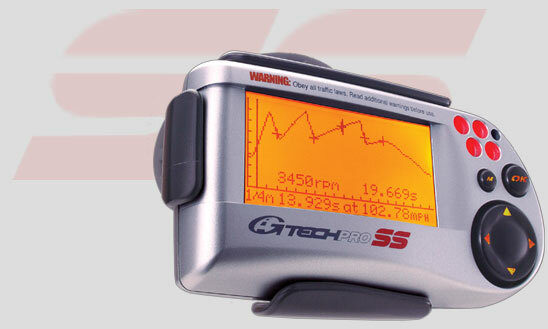 over the older Gtech Pro Competition Meter. It's a great way to see if you are making the right improvements. we are able to measure Torque and display a DYNO-plot graph. We are the only people in the world to do this at this time. if your car is getting away from the line or not. with car enthusiasts all over the world. 0-160-0 km/h becoming increasingly more popular with the magazines. RPMs and Shiftlights we are particularly proud of. We have invented this technology. No one in the world can pick-up RPMs from the cigarette lighter. Yes, MSD ignitions and even diesels work! that you are pulling and new large G numbers that are easy to read at a glance. any of your runs in a matter of a couple of button clicks. We are the only G-meter that has x, y and z precision accelerometers. This improves accuracy and consistency. It also allows you to orient the G-TECH/Pro any way you like. 2998,-....2 st. kr. 5596,- / 2798,- pr. st.